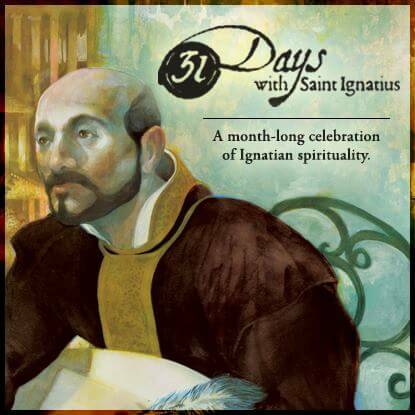 Welcome to the ninth-annual 31 Days with St. Ignatius, a month-long celebration of Ignatian spirituality. In honor of the feast of St. Ignatius Loyola on July 31, we offer a selection of articles, blog posts, and videos to help you explore the riches of Ignatian spirituality. Subscribe to the dotMagis blog for more Ignatian inspiration throughout the year. 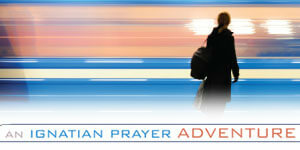 For more celebration throughout July, join us at Facebook.com/IgnatianSpirituality. Use the hashtag #31DayswithIgnatius on your favorite social media, and share the ways you’ve been touched by St. Ignatius and the spiritual outlook that bears his name. If you’re ready to go deeper into Ignatian spirituality, try the online retreat An Ignatian Prayer Adventure. Or see a selection of Ignatian books from Loyola Press. If you use a graphic on your website, please add a hyperlink to https://www.ignatianspirituality.com/31-days-with-saint-ignatius.